The Polk Audio TL3 is built using the same tweeter design found in their flagship full-sized speakers and packed with exclusive state-of-the-art technologies, the TL3 overcomes some of the usual limitations of compact speakers. You’ll hear the kind of accuracy and detail you expect from a much-larger speaker, including a wide sound-stage, realistic detail, and deep bass response. It’s the perfect choice when space in your living area is limited, but your love of great sound is not. The first compact speaker to use exclusive state-of-the-art technologies to overcome the usual limitations of compact speakers, with wider soundstaging, more realistic details and deeper bass response than ever before. Once you hear the new Blackstone TL3, you will forget everything you thought you knew about compact loudspeakers. 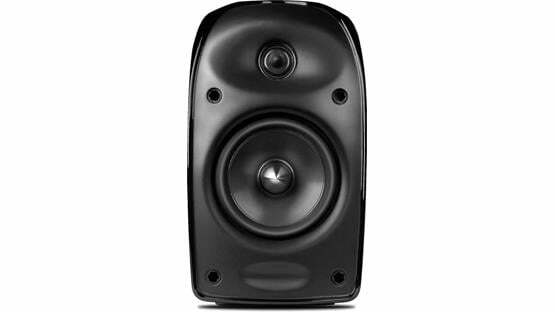 Polk completely reimagined the compact speaker when they designed the Blackstone TL3. Built using the same tweeter design found in their flagship full-sized speakers and packed with exclusive state-of-the-art technologies, the TL3 overcomes some of the usual limitations of compact speakers. You’ll hear the kind of accuracy and detail you expect from a much-larger speaker, including a wide soundstage, realistic detail, and deep bass response. It’s the perfect choice when space in your living area is limited, but your love of great sound is not. A big part of the TL3’s incredible sound is the 3/4″ ring radiator tweeter. Found in Polk’s flagship speakers, this sophisticated tweeters reproduce transparent, natural highs. 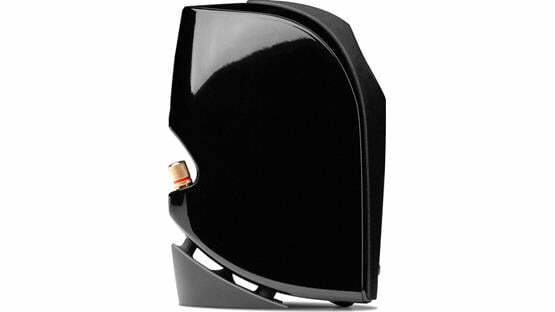 The 3-1/4″ aerated polypropylene woofer is lightweight, but also stiff and strong, allowing the cone to move more freely in the baffle. It means you can play your music loud without hearing any distortion. 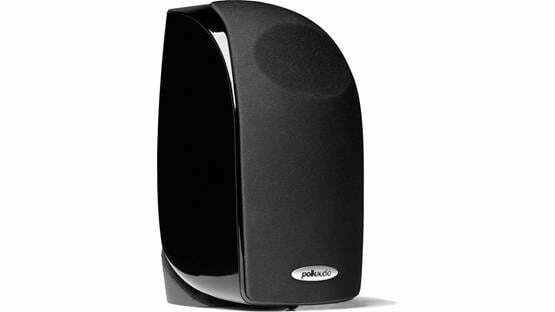 Polk’s Extended Linear Motion voice coil helps make the cone’s movement even more efficient to further cut down on distortion and extend the speaker’s dynamic range. This increased efficiency is the key to the TL3’s big sound. The “TL” refers to Polk’s “Time Lens” technology, which aligns the drivers in such a way that high- and low-frequency sounds all reach your ears at the same time. This improves the speaker’s imaging and soundstaging, so that you’ll feel less like you’re watching a movie and more like you’re part of it. An “acoustic lens” in the speaker grille disperses sound waves in a way that makes your music and movie soundtracks sound larger and more open. The TL3 also features Polk’s acclaimed PowerPort technology to help reinforce bass output. Plus, its sturdy cabinet is reinforced with a steel plate to help fight resonances that can muddy the sound. The TL3 has a keyhole slot in the back for easy mounting on your wall straight from the box. You can also use the threaded insert to attach it to an optional speaker bracket or stand. Create your own home theater system using a combination of black speakers in the front of your room and white TL3 surrounds in the back. Don’t forget to add the TL3 center channel speaker and a Polk subwoofer to complete your system.